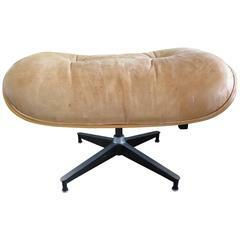 A Classic ottoman designed by Charles Eames for Herman Miller (known as 671). Nice patina well worn. Laminated cherry plywood shell. 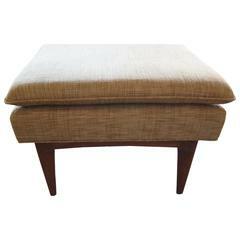 A large-scale John Stuart ottoman with sculpted walnut legs. 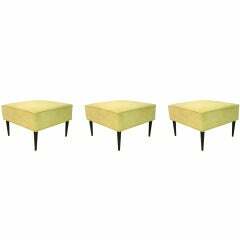 Elegant Mid-Century look, new upholstery. 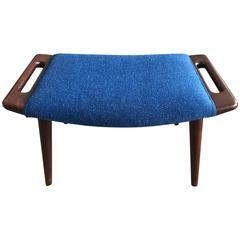 A Classic Hans Wegner papa bear ottoman (footstool) in teak. 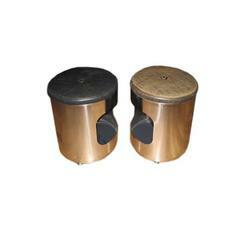 Early production with nice patina. 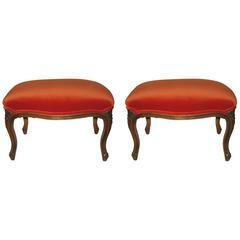 Can be reupholstered if necessary. 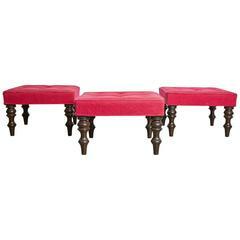 Set of four early 19th century Swedish mahogany stools. 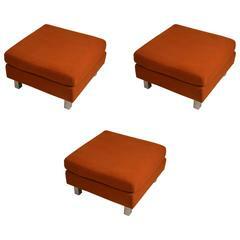 Pair of teak Danish stools in the manner of Hans Wegner's designs. 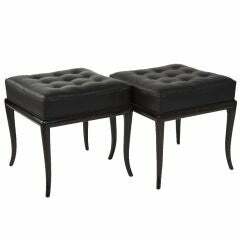 Elegant pair of ebonized classic Robsjohn-Gibbings stools upholstered in black leather.